UFO SIGHTINGS DAILY: Three Meter Alien Seen In Portugal Wasteland, Aug 2016, Video, UFO Sighting News. Three Meter Alien Seen In Portugal Wasteland, Aug 2016, Video, UFO Sighting News. 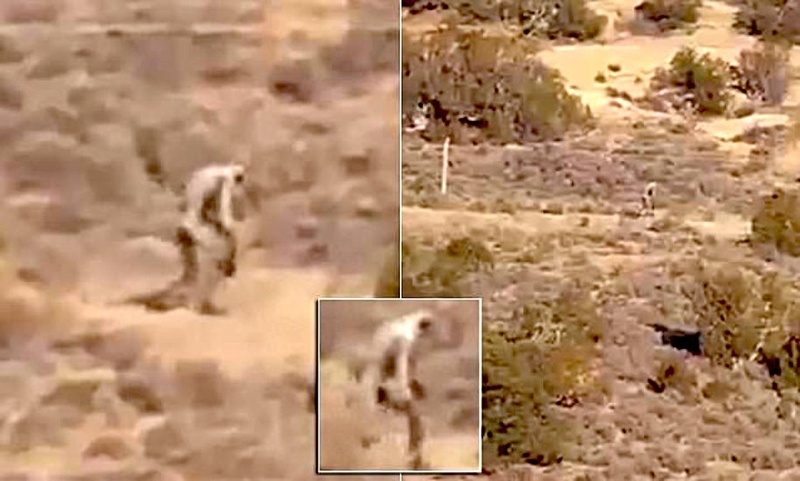 The three meter tall alien creature was seen walking through the Portugal wasteland for a few minutes, but as it passed behind a very tall bush, it seemed to just disappear. Aliens often are so advanced that they can read our minds from a long ways away. It knew it was spotted and it tried to go to a fast location not to hide, but to beam out of there. There is also the possibility that his base is 4-5 km below the ground and his people created a elevator of sorts...as described and seen in the W56 Friendship case at Rocca Pia, Italy. A person stands still and the ground lowers and the above is replace to normal. To us...its impossible, to them...its scientific innovation. Clearly the evidence shows that an alien base is in this location...which if found, could be contacted and greeted.